InVentry allows schools to know which staff are onsite or offsite in an instant. Everything has been designed around speed for maximum flexibility around staff needs and requirements. When arriving at the console, staff only need to enter the first few characters of their name or select their photo from the touchscreen. Alternatively ID cards make the whole experience even faster by integrating with your existing systems. InVentry allows your staff to sign in and out across multiple locations, with everything tracked through one single source. Allows staff to sign in and out on the go. The app only allows staff to sign in once they are on site. 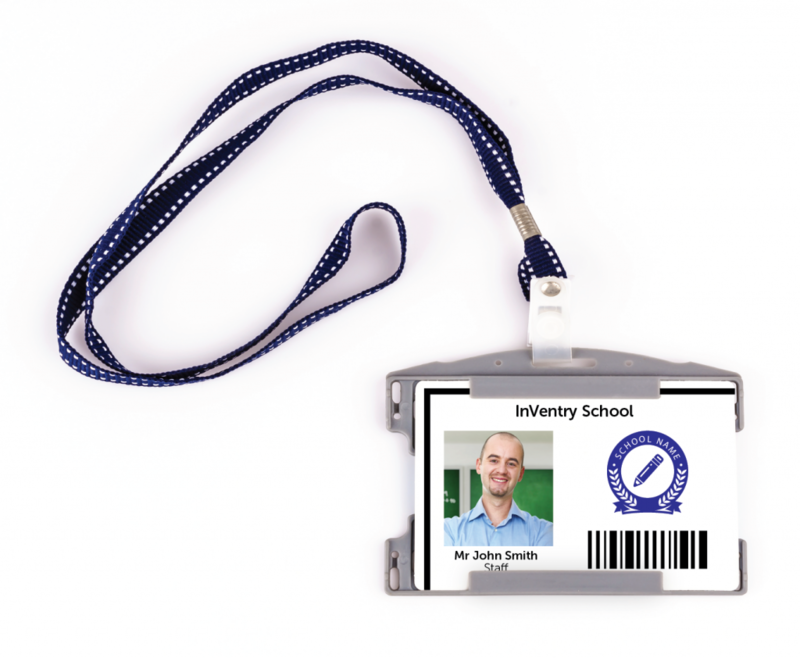 InVentry can print your staff ID cards in any format. These ID cards can then be used in conjunction with our Quickscan units. Allow staff to sign in at various entry points to give better flexibility at staff only entrances. For administration staff, the InVentry system can easily produce accurate time cards based on signing in and out events. For speedy sign in InVentry supports various staff ID cards including Paxton, MiFare, HID and barcode or QR code. Upload your staff DBS checks and use InVentry as your single central record. Also manage your DBS checks for when records need to be updated. Interrupt the sign in flow to provide staff with important news and updates before being allowed to sign in or out.